Messiah Lutheran Church This addition will gain space needed for a new multi-purpose fellowship hall by enclosing a seldom used courtyard space. The site had little space for building expansion without losing parking. 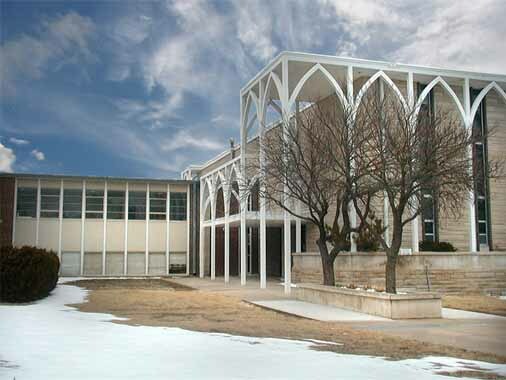 Mann & Company solved the technical problems of the three-sided connection and repeated the steel arch detailing of the existing 1960's sanctuary in order for the new addition to blend with the existing building.